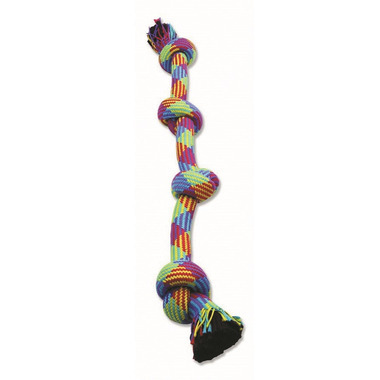 This Mammoth Rope Toy is made from premium materials with a fun shape. The rope fibers floss dogs teeth as they chew and play! This EXTRA Mammoth dog toy is tougher than their standard rope chews and made more durable for stronger chewers.